I love this recipe for vanilla cupcakes without butter or eggs. I was thrilled when I found it. It was a friends birthday and I wanted to make him some cupcakes I could enjoy too. The photo looked really good and they looked appetising so I gave it a try. The batter is very runny which is very different to anything I have made before. 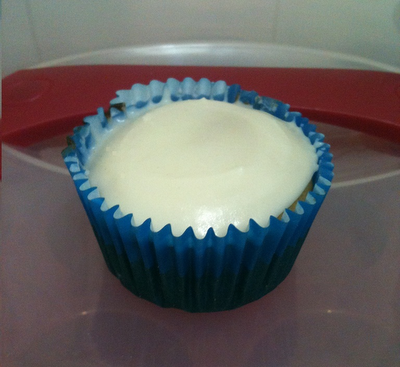 The end result is a cupcake that is dense but delicious. These vanilla cupcakes without butter and eggs are perfect for those with allergies or are lactose intolerant. They are very gentle on your stomach and easy to eat. You won't feel like you are missing out at all. Preheat your oven to 180 degrees. Put patty cases in a 12 muffin tin pan. Sift the flour, baking powder, and salt into a bowl. Stir in the sugar, then add the remaining ingredients and beat until you have a smooth, liquid batter. Pour the batter into the patty cases. Bake in oven for about 25 minutes until risen and firm to touch. Then remove from oven allow to cool and add icing. Stir icing sugar, margarine and boiling water together in a small bowl until smooth. Just add more water as required if you do not get desired consistency. Use icing immediately. If it starts to set before you have finished icing the cupcakes, stir in a few drops of hot water. This recipe for Carrot Muffins is different to the one below. I did like that recipe but it still left me slightly bloated. It didn't have any milk in it which is what I think is always the main culprit. I noticed it had eggs in it so thought that may be the issue. So I went Googling and found this recipe. It's actually a Carrot Cake recipe but I changed it into a Milk and Egg free recipe for Carrot Muffins. It is light, healthy, tasty especially with the madnarin zest (I didn't have an orange) which gives it a lovely, fruity flavour and very delicious. Preheat oven to 180 degrees. Place patty cases in 12 cup muffin tin. In a small bowl, add lemon juice to milk. Stir together and let stand 5 minutes. Sift flour, baking powder, cinnamon and salt together and set aside. In a large bowl, cream oil, orange zest (or mandarin if you choose) and raw sugar. Add milk and vanilla. Add flour mixture and beat until smooth. Stir in the grated carrots. Pour the batter into patty cases. Bake at 180 degrees for 30 min or until a toothpick inserted into the muffins comes out clean. 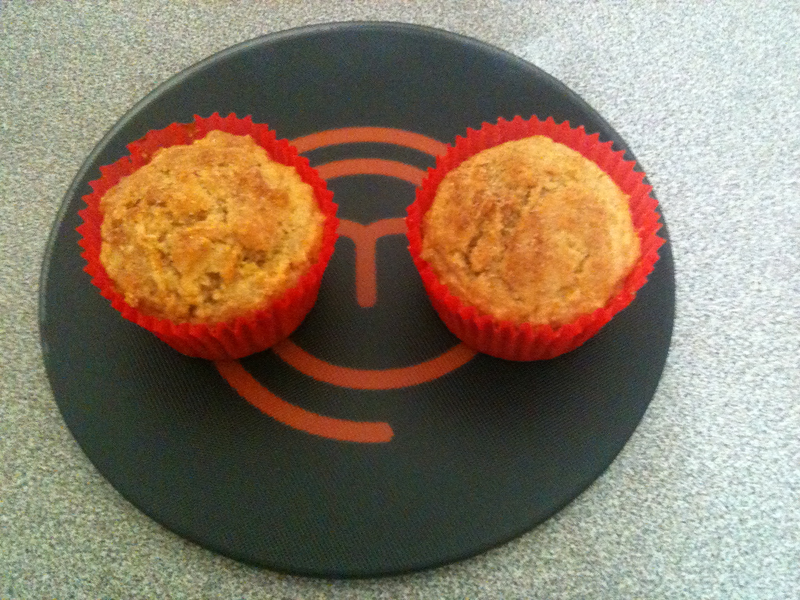 Allow to cool and then enjoy this delicious milk and egg free recipe for carrot muffins.